As a Transit Centre, we’re a one-stop shop for aftersales, servicing, warranty work and accident repair on your Ford commercial vehicle – not just Transits, Ranger pick-ups and Tourneo people-carriers too. Situated close to the Vale of Glamorgan, we’re perfectly situated to service businesses across Wales. Our pricing is fixed so you know you’re getting the same deal as everyone else, so just click through to our Transit Servicing Pricing page to find out more. See and test drive our Award-Winning Transit Range at your nearest Transit Centre and discover how our range of Commercial Vehicles can help your business go further. It’s important to service your commercial vehicle whenever it’s due, to ensure your business isn’t left high and dry by an unscheduled stop at the side of the road. Keeping your Transit regularly serviced will also help to keep it running at its most efficient, promoting improved fuel economy and emissions that will help it sail through its MOT. Our team at Bridgend Ford know exactly how important it is for you and your business to keep on moving. This is why we carry stock for the Ford Transit Courier, Transit Connect, Transit Custom Panel Van, Custom Double Cab, Custom Tourneo, big Ford Transit and the Ford Ranger all at our dealership in Bridgend. Typically we see a turnover of about four days to make sure that our customers don't have to stop. We don't just want to sell quality used commercial vehicles to customers in Bridgend. 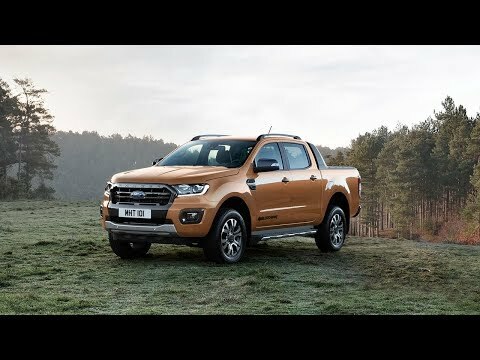 We want to ensure that we are always considered when looking for used Ford commercial vehicles in Wales. Commercial vehicle fleets benefit from national pricing, online booking that’s answered within 20 minutes, Ford Fleet Service Centre support and Ford Fleet Accident Management. All of these are designed to make running a fleet of Ford commercial vehicles easy, stress-free and predictable. When your van is out of action – even for a short period – so is your business. That’s why we’re open until 6:30pm and Saturday mornings so you can still do a full day’s work without interruption. We also offer collection and delivery within a 30-minute drive, returning your van freshly washed and looking its best. We can even provide alternative transport. Click to find out more about this service promise. Call us today to arrange a visit for your vehicle and speak to a member of our friendly, dedicated team. Alternatively, click above to book a service, make an enquiry or arrange a test drive with your preferred model – there’s one to suit every business.